I would like to suggest a very different approach towards continually having a great dog and companion. I call it generational transitions. As a dog owner who has used this approach, I guarantee the sadness of watching your older dog pass on will be lessened by the highlights and lasting memories gained watching your young dog work with, learn from and mimic some of the hunting personality traits you have treasured with your trusted companion over the years. First, let’s look at a hunting dog’s lifespan and when their talent and abilities peak. Depending on a multitude of factors like natural talent, breeding, training and most importantly, time spent in the field gaining experience, most dogs start to produce consistently when they are three to five years old. A field dog’s average life span is about 12 years, but most stop “peak” hunting by age 10 or 11. 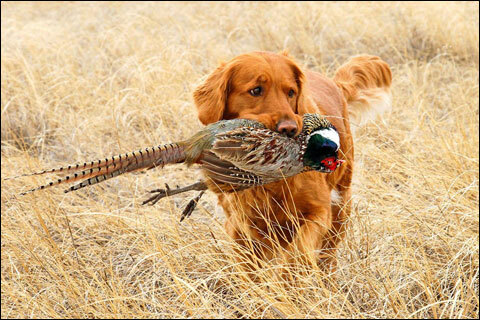 So realistically, you have about five to seven years of peak hunting with your dog. As always, some will argue the time line, but the point I’m trying to emphasize is to be realistic about how long a dog’s performance can be enjoyed by you and others – and equally important, how long the dog can maintain the strenuous levels needed in the field. One day the hunter notices their dog’s performance beginning to lag, their interest level diminishing and eventually having a hard time getting through a day in the field. I believe most people wait much too long before they begin the transition of bringing in the next generation of field dog(s) that will replace their current older friend. Remember that searching for, finding, acquiring, training and the all-important bonding with a new dog takes a long time – usually two years. That my friends, is a LONG time between start to finish. Worse, if you wait until your old dog is simply incapable of hunting effectively (and from my experience, they all do), they never get a chance to teach the incoming new class. Just like watching children grow, learn and gain the experience needed to give them the necessary skill-set and confidence that breeds success, part of that growth comes from watching, listening and integrating with others to learn and understand. Dogs are no different. In fact, they are simpler in their process as they do not have the outside distraction that humans do. Dogs are simple pack animals that are genetically driven to hunt as a group and work as a team. Dogs are also incredibly jealous. They desperately want to move higher in the pack hierarchy. The most important element is YOU – “The Pack Leader.” Both young and old want to please you for a higher level of acceptance within their pack. The more approving (happier) that you are, the closer they move towards you, and a higher rank. To maximize the generational transition, I find that new and old need to spend two to three years hunting together for the new dog to soak in the experience, intelligence and confidence from the older dog’s “tricks-of-the trade.” Dogs are simple pack animals and seniority not only counts, but is respected and learned from. Personally, I have successfully done this with nine total dogs. Begin working as a team: This part is probably the most demanding on the handler – mostly psychological. For the first time, you have to release total control of the situation. 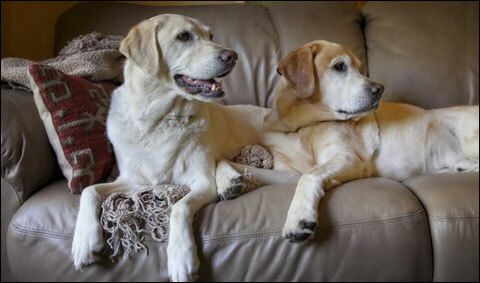 You have to allow both dogs to gain experience, confidence of the others’ capabilities, and bond. At this point, you are more damaging to the process and time needed every time you blow that whistle or worse, hit the e-collar. This is their time, and they need to work as a DOG team. Ranking: This to me is the most rewarding part of the generational transition. Suddenly, the younger dog is getting the accolades and focus when hunting. Most importantly, one day the new young dog is the only dog that was taken to hunt – heaven in a young dog’s life. This generational transition is my favorite part of the sport/activity directly after the social aspects of hunting with others. 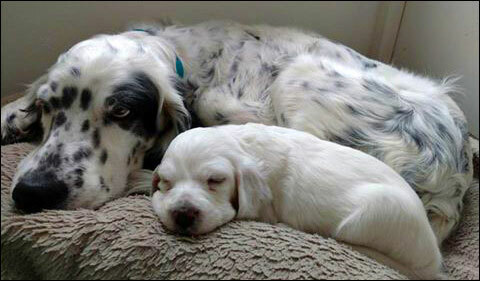 By nurturing the young, the older dog leaves a part of themselves with the next generation. Several dog handlers and guides who’ve been using the generational transition approach brought up something I have even taken for granted – the sentimental memories that the new young dog brings back as they fondly see and remember their old veteran. And yes, it’s OK to shed a tear or two. Robert Bonev is an entrepreneur who is a lifelong upland and waterfowl hunter. He resides in North Dakota.